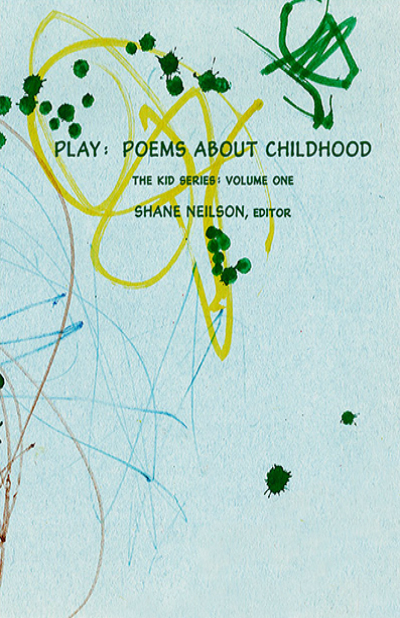 Shane Neilson has collected together poems about childhood and parenthood by over 25 Canadian poets. The list of assembled poets is a holistic who’s who of Canadian poetry: Christian Bok, George Elliott Clarke, Alden Nowlan, Steven Heighton, Ken Babstock, Milton Acorn, Susan Holbrook, Travis Lane, Wayne Clifford, and more. These poems served Shane during the year his son and daughter were ill. An introductory essay provides a cognitive mapping of the provenance of the anthology, situating the poems that come afterward. Part scholarly, part impression, and all record of a difficult time, this is an unusual, idiosyncratic anthology that follows an emotional logic. The poems build a narrative of beauty, destruction, defiance, and life. Play: Poems About Childhood is the first in a planned series of such “rotating personal canon” anthologies, and future anthologists in the series will put their stamp on the same topic by including poems that they apply to their own lives. Order this title from Frog Hollow Press.